What do you get when you take a highly successful full-size van like the Sprinter, and downsize it by about a third? You get the all-new Mercedes-Benz Metris. The versatile Metris is a low-cost, mid-size van that does something the full-size Sprinter cargo vans can?t do… namely fit into the average parking garage. But the new Metris is far more than just a shrunk-down Sprinter; this purpose-built cargo hauler and people mover is designed for the perfect combination of work and play tough enough for fleet duty, and refined enough to make any family feel at home in it. The Mercedes-Benz Metris comes in either a passenger version or as a commercial cargo van. The engine and drivetrain are identical in each, and feature a 2.0-liter turbocharged four-cylinder engine that delivers 208-horsepower and 258 lb-ft. of torque. The MSRP for the Metris cargo van starts at $28,950 while the Metris passenger van begins at $32,500. There are optional features for each version that can add things like navigation, electric sliding doors, automatic climate control and more. The chiseled and rugged appearance of the new Metris mid-size vans take their cue from the Sprinter, and you can see the family resemblance. The contours are handsome and classic, intended to maximize the space available inside the main compartment. The interior is a balance of form and function, with maximum storage space, comfort and flexibility. The standard 5.8-inch color display offers full access to Bluetooth® connectivity, auxiliary interface and audio control. Automatic climate control and a multi-function steering wheel are optional features. The Metris passenger van has seating for up to 8, and can carry a max payload of 1,874 pounds. The Metris cargo van has 2 seats up front, a Gross Vehicle Weight Rating (GVWR) of 6,724 pounds, and a maximum payload of 2,502 pounds. These capacity ratings far exceed the Nissan NV, Ford Transit and Chevrolet City Express competitors, yet the Metris drives and handles as well as any passenger car on the road. With an overall length of 202.4 inches and a wheelbase of 126 inches, the Metris boasts a best-in-class turning radius. As with any Mercedes-Benz vehicle, the safety of occupants is of primary importance. The 2016 Metris passenger and cargo vans are equipped with some of the most advanced safety systems installed on any vehicle. With standard Crosswind Assist and load-adaptive stability control, the Metris is as stable and easy to drive as a passenger vehicle. There are also eight standard airbags on the passenger van and six on the cargo van, in addition to standard Attention Assist?. Optional safety equipment includes Collision Prevention Assist?, Blind Spot Assist?, Lane-keeping Assist, parking sensors, a rear view camera and more. With its 2.0-liter turbocharged engine the Mercedes-Benz Metris is both nimble and quick. It also offers some fairly impressive fuel economy for a vehicle of its size, at 21 mpg in the city and 24 on the highway. Still more impressive is its ability to pull up to 4,960 pounds using its 208-horsepower and 258 lb-ft. of torque. But what is by far the most impressive feature is the Metris? driving and handling characteristics, which are far more sedan-like or at least crossover-like than other vans of similar size. 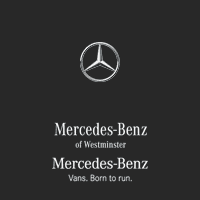 Here at Sprinter of Westminster we feel the new Mercedes-Benz Metris is a great option for both fleet use and for family duty. It’s one of the most versatile and safest vans you?ll find, and it comes with the peace of mind you get with any Mercedes-Benz vehicle. Stop by and check out the new Metris today.